Every year, Carnegie Mellon is lucky to have passionate students work together to organize events that celebrate diversity on campus. They help create comfortable and safe environments for students to share their various differences with others in the university. 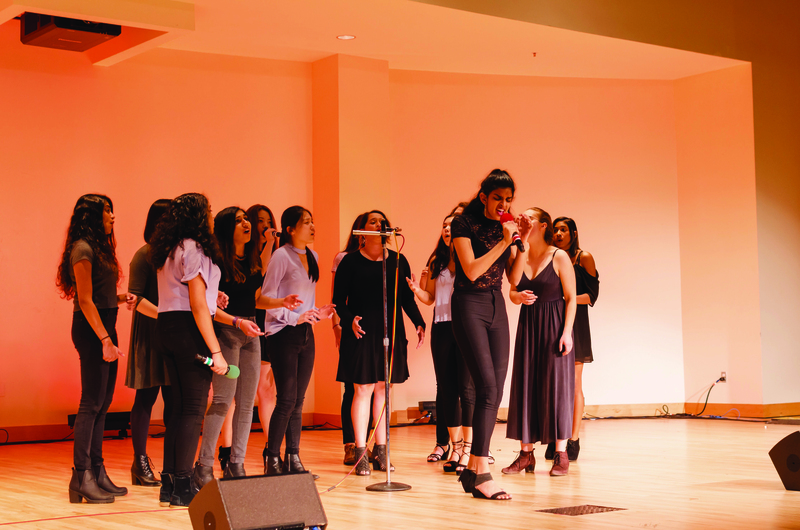 One of the most recent of these events that occurred was the Spark the Movement showcase, which took place in the Cohon Center Rangos Ballroom last Friday. 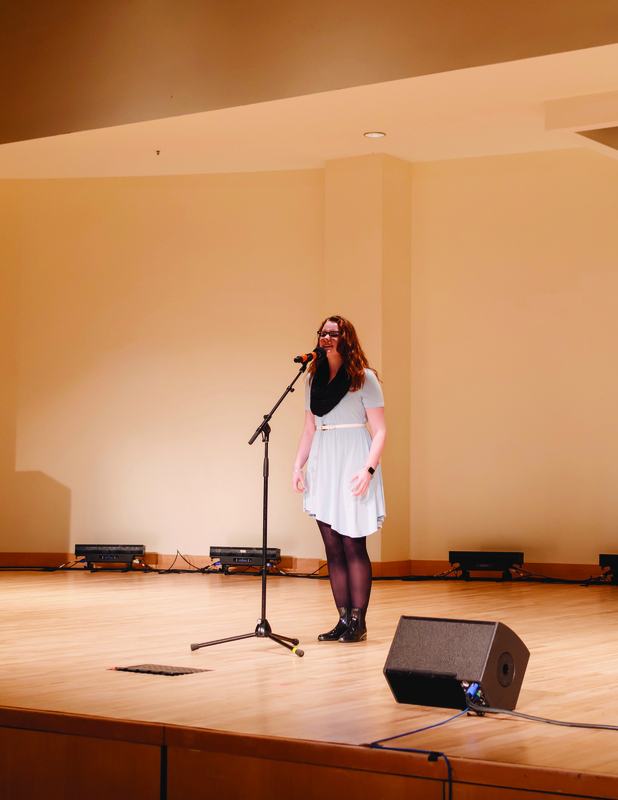 The showcase, which has now become an annual university event, started just last year as a project by former fifth year scholar, Rachel Freer. I was fortunate to have been able to attend last year’s showcase, and I was excited to see how similar and different this year’s event would be. The live performance part of the showcase was divided into two parts. 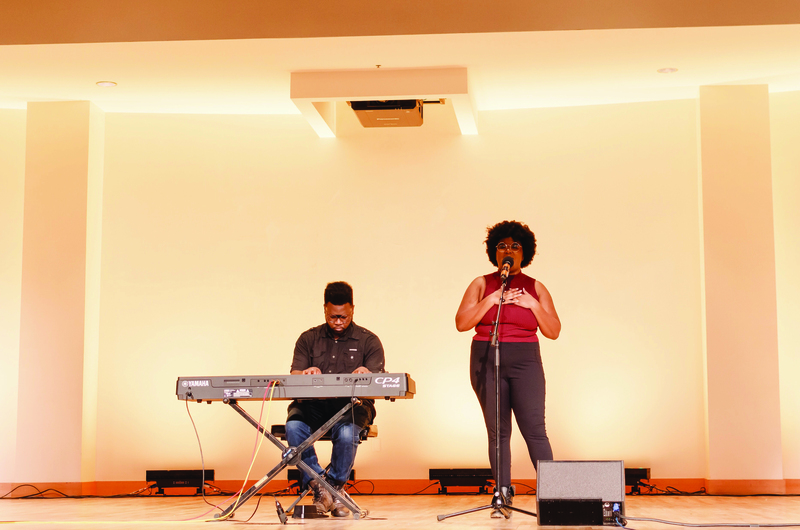 The show opened with a powerful performance of Nina Simone’s “I Wish I Knew How It Would Feel to Be Free,” by electrical and computer engineering major and senior, Arnelle Etienne and [MAJOR TBD] Ziv Piper accompanying her on the piano. The performance easily moved the entire audience, and it set a very empowering and reflective tone for the rest of the event. 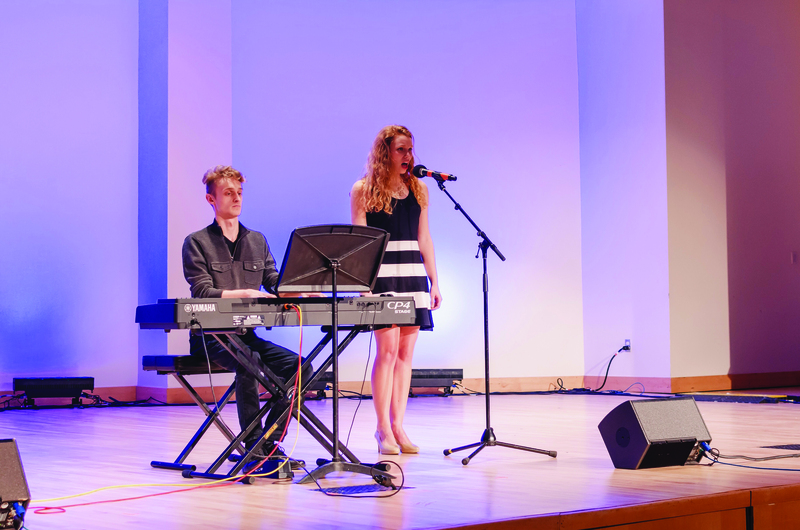 The acts that took place afterwards all had a similar impact on the audience, with each and every performance being very genuine and representative of the student performers’ experiences. 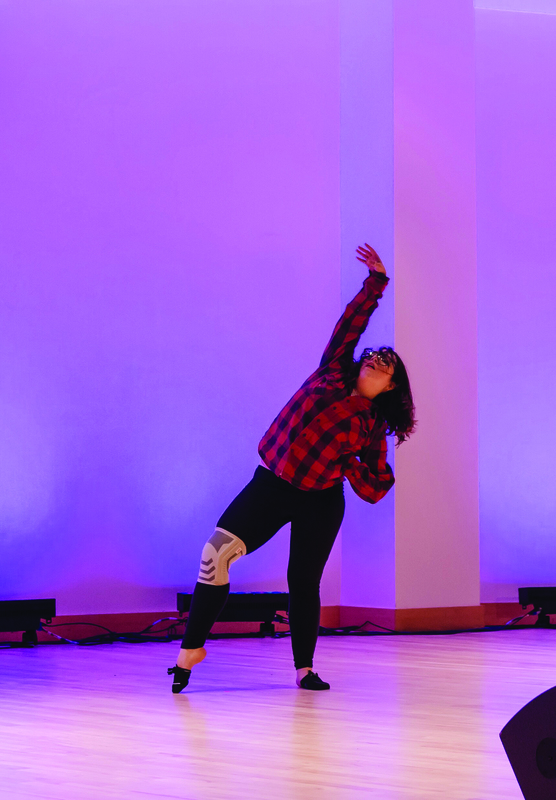 Junior Art major, Emily Giedzinski’s personal choreography to the song "Ugly" by Nicole Dollanganger, was a powerful example of the honesty that the performers put into their acts, as her dance was a personal reflection of an experience of bullying. 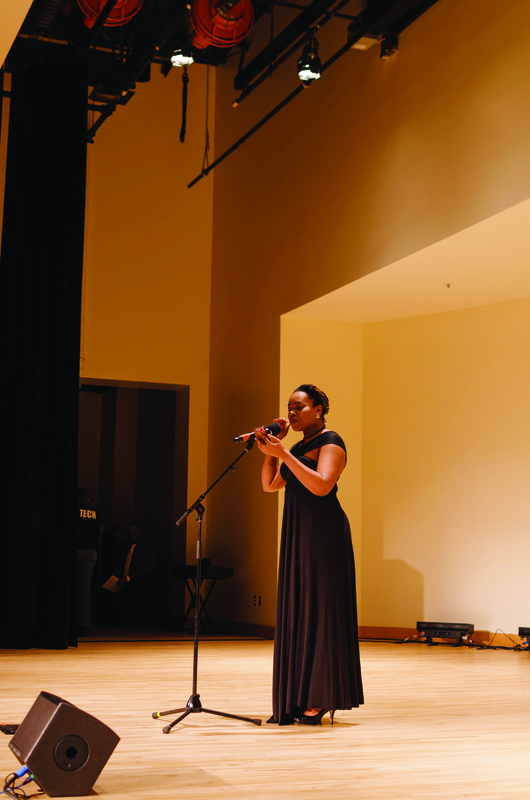 Stories of other various social and internal hardships were told through spoken word poems and songs, as well as paintings and photographs throughout the event. 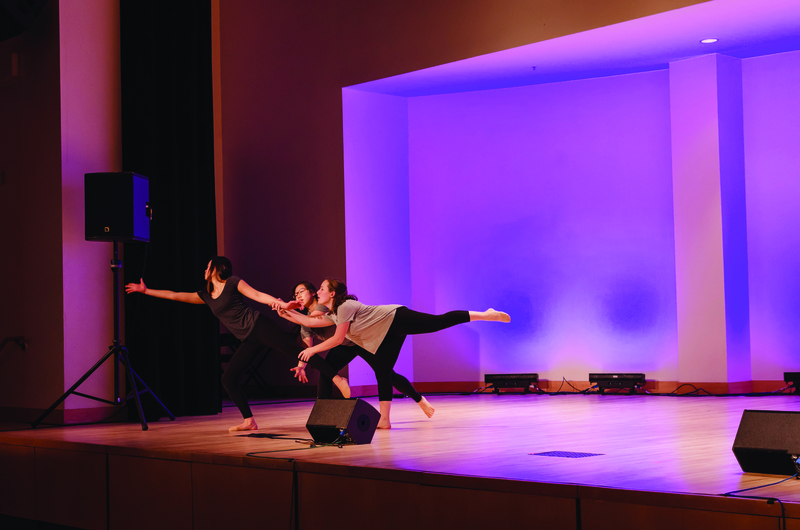 The second part of the Spark the Movement showcase took place immediately after the live performance portion, at a reception sponsored by the Center for Student Diversity and Inclusion. 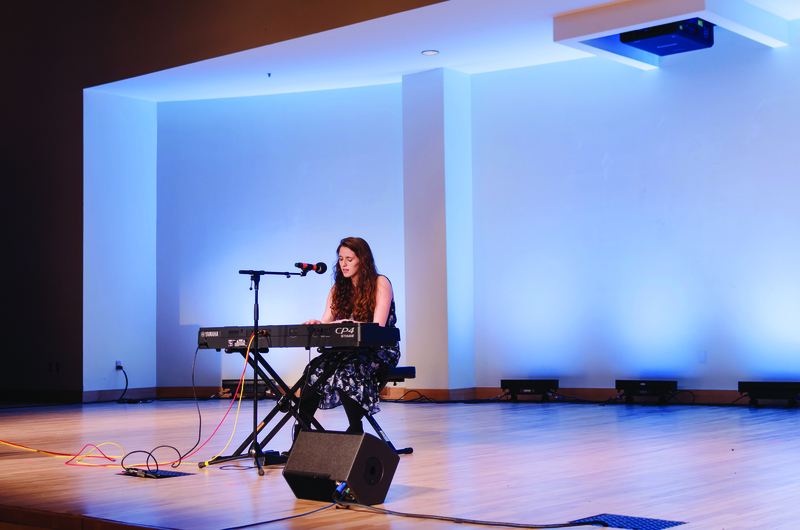 All the performers and audience members were able to celebrate the event together and view visual art pieces that share similar messages to those from the live performances. What’s so amazing about this showcase is how strong of a connection you can feel with all the artists. They shared personal feelings and stories on topics and issues that many in the audience, including myself, could easily relate to. Last year, as a freshman first seeing the showcase, I didn’t truly understand the importance of this event. Now I can say that I’ve truly realized how significant it is to talk about our feelings on both social and personal issues with others in the campus community. Sparking such conversations can help lead to creating more safe spaces for people to fearlessly be themselves and connect with others who can also understand their experiences.